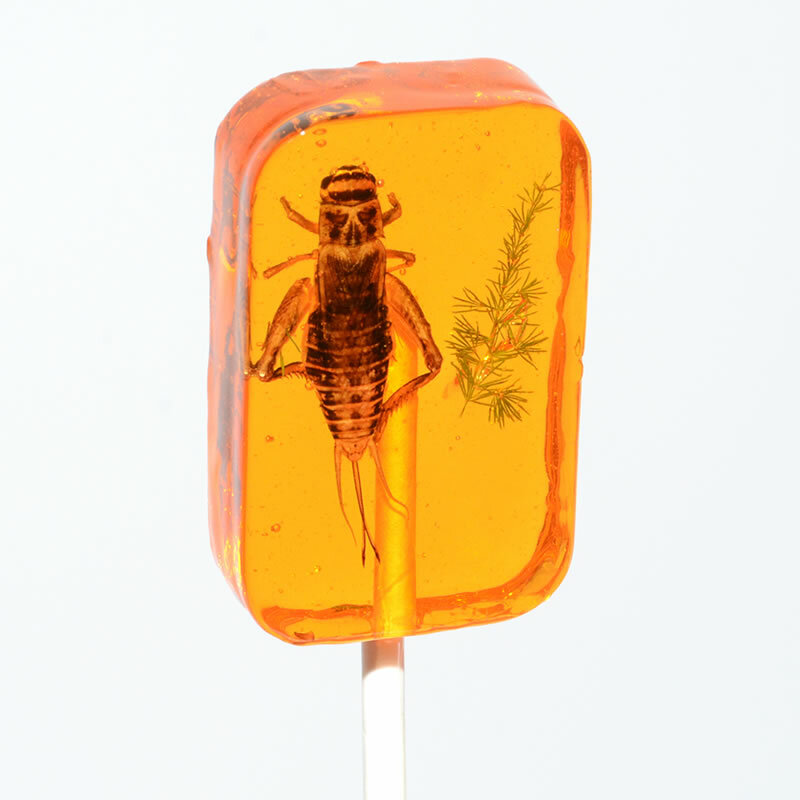 Real cricket encased in a buttery toffee hard candy sucker with an edible fern leaf. Net. wt. 1oz (31g). © 2019 HOTLIX, Inc. All Rights Reserved.